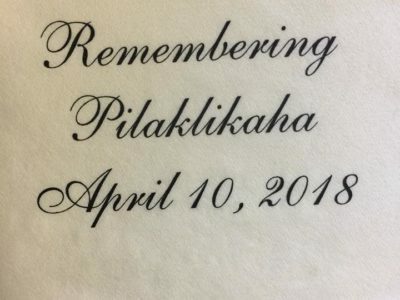 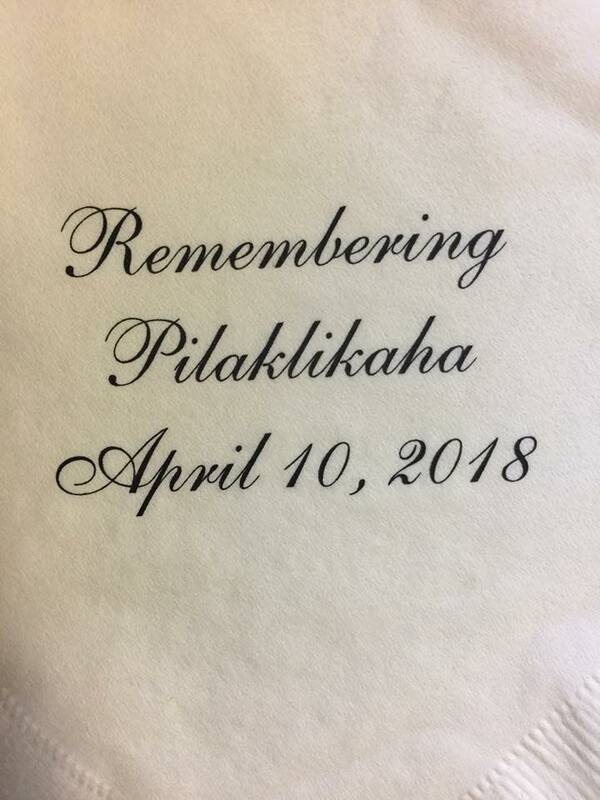 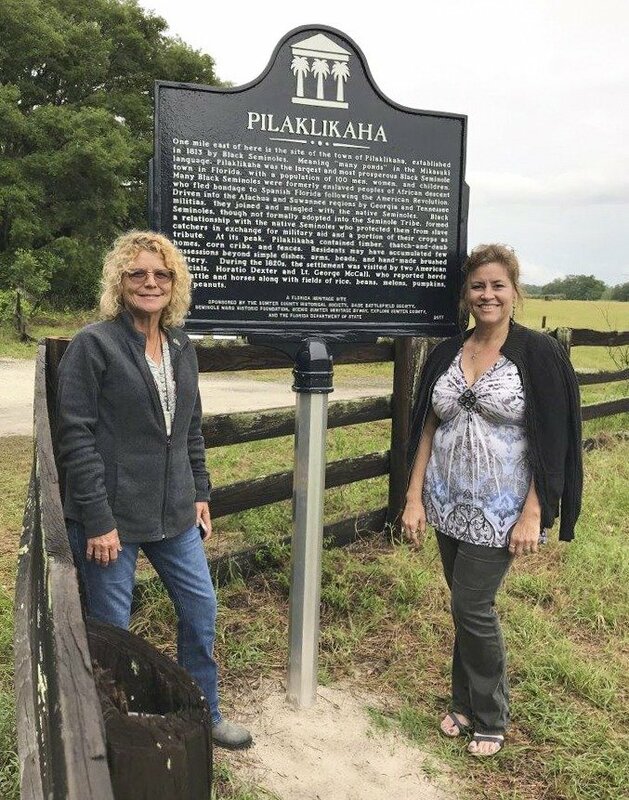 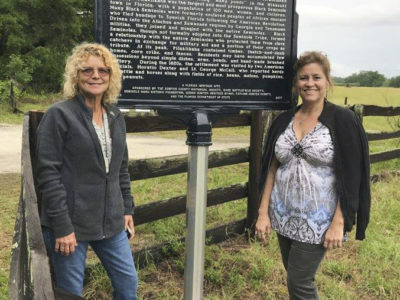 On April 10, 2018, Scenic Sumter Heritage Byway and the Sumter Historical Society celebrated the dedication of the official state historic marker for Pilaklikaha, also known as Abraham’s Old Town, a large Black Seminole settlement that existed until 1836 when it was burned in the early days of the Second Seminole War. 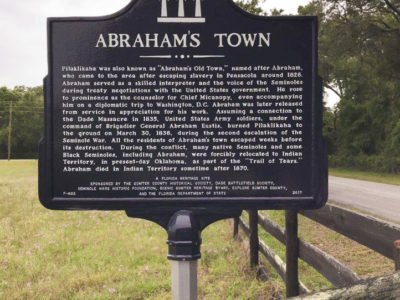 The town was located a few miles northwest of current day Center Hill. 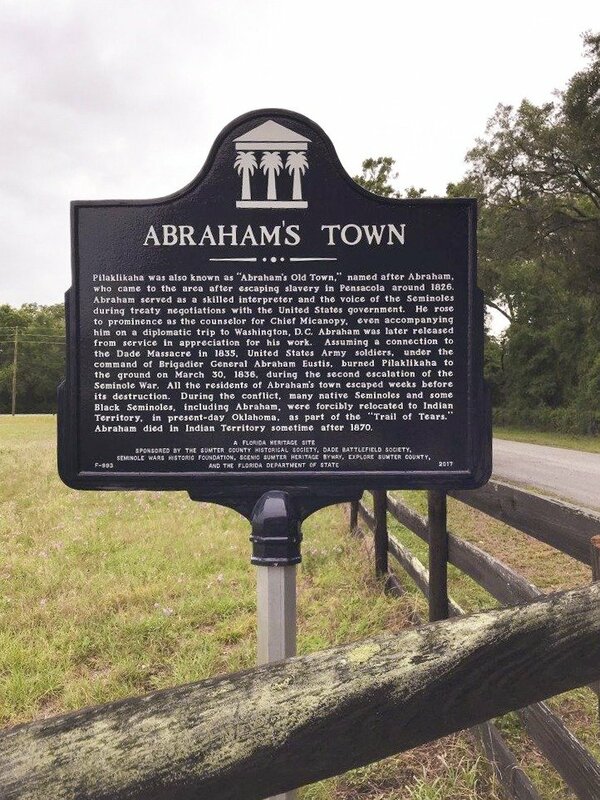 The historical marker is located on County Road 567, just east of State Road 471. 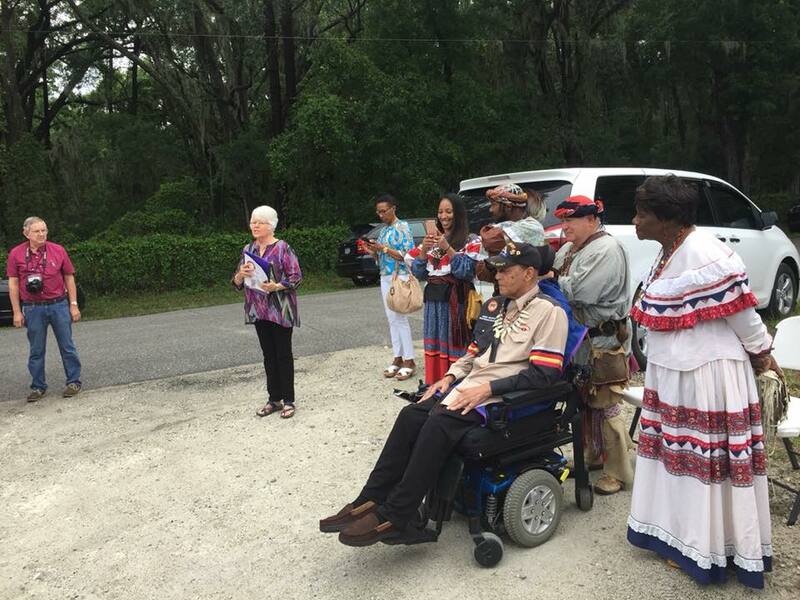 Black Seminole descendant and historical re-enactor Mathew Griffin is shown unveiling the historic marker and with the many project supporters who came out for the event.